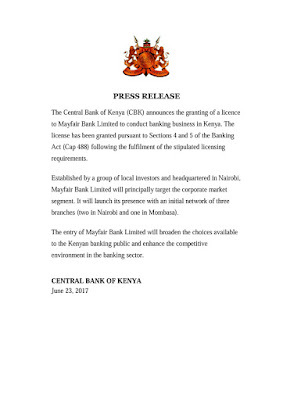 Mayfair Bank kenya has finally joined the growing list of lenders in the country after national commercial banks' regulator CBK, gave out license for carrying out operations on Friday. Mayfair, a locally owned lender is set to serve mostly the corporate market starting with three branch outlets, two in Nairobi and one in Mombasa. 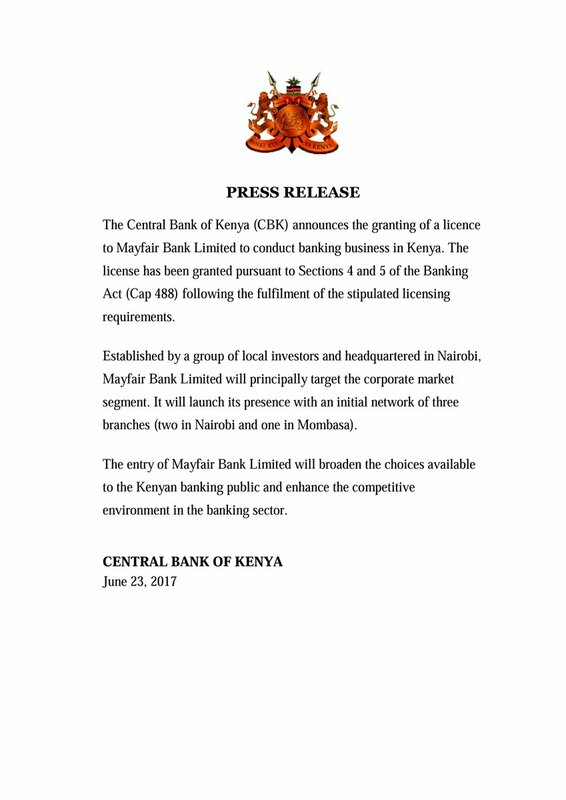 The bank's entry as expected by the CBK will enhance competition thereby bringing improvement and fairness in service delivery and accessibility by all lenders.